… controlled model railroads are getting more complex and are still pretty expensive (if you control locos, turnouts, signals and have some kind of loco detection). The reason is the use of highly specialized hardware and software (and overall the model railroad industry is pretty small, production figures are low). The prices are as high as 140 Euro for a single LAN interface! You get half a netbook or 4 RaspberryPI’s for this money. So why don’t we use more standard components to control our model railroads? It’s time to simplify MRR control again! 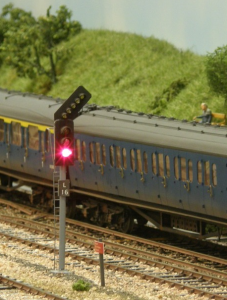 The idea is to develop a new type of MRR control, which uses standard components and has more intelligence moved from a “central station” (which is now longer needed) to the accessory decoders and smart phone controllers. decoders advertise their capabilities via zeroconf/avahi/bonjour protocol.